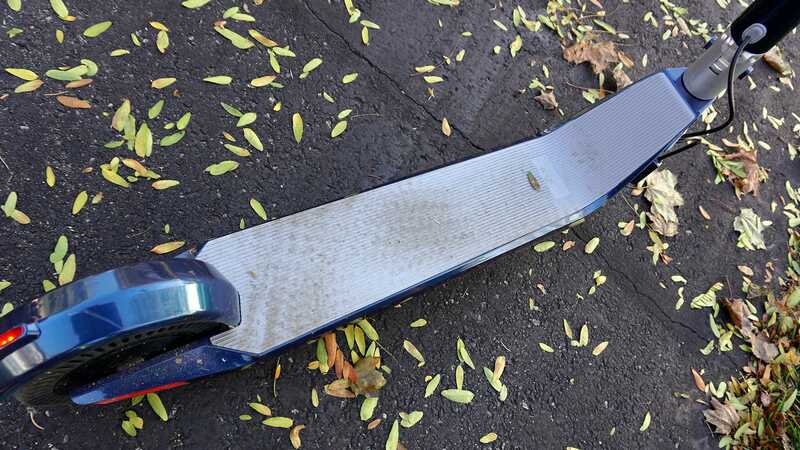 Despite their growing popularity in cities like San Francisco as another alternative to cars, electric scooters have always seemed like nothing more than a pricier version of a toy I enjoyed as a kid. But the Unagi, an e-scooter that looks like it was actually designed for grown-ups, gave me a new appreciation for how practical they can potentially be. WHAT IS IT? 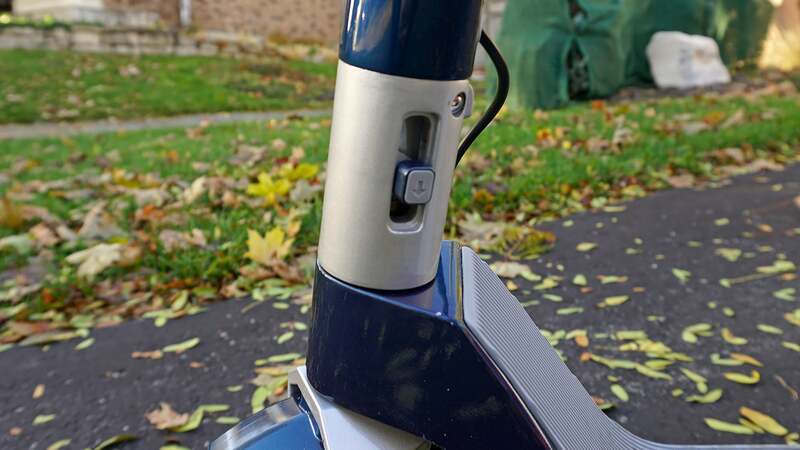 : An electric scooter that doesn't look or run like a kid's toy. LIKE: With an impressive range, and a top speed of 15.5 MPH, it's fun to ride. DON'T LIKE: Braking can be finicky and abrupt, and you'll feel every bump on the road. 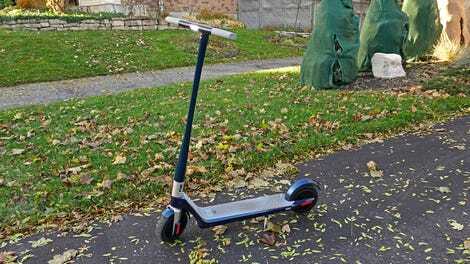 Is an e-scooter for everyone? No, but the Unagi could potentially reduce the number of times you’ll need to hop in the car to complete a quick errand. A recent move to suburbia has meant that walking to a nearby restaurant for a quick lunch is no longer an option for me, and taking the car just to grab a quick sandwich makes me feel too guilty. The Unagi is a happy medium between the two. I still prefer to walk when I can, but the e-scooter has greatly expanded the range of where I can go when time is limited, without having to reach for my car keys. Available in two versions, the E250 and E450, I tested the pricier and more powerful Unagi E450 which features a 200-watt electric motor built into the front wheel, and a 250-watt motor in the rear wheel, allowing it to tackle hills without a significant drop in speed. Both models can hit a top speed of 15.5 MPH (which feels a lot faster than it sounds) and have a range of about 15.5 miles thanks to a series of 25 (24 in the E250) 3,200 mAh lithium batteries hidden in the base of the scooter. The pricing reflects that power and speed, however, and the cheapest version of the Unagi goes for $890 (£696), while the model we tested is $1,090 (£853). You can get a well-equipped road bike for that much scratch, and if that’s the experience you’re after, it might be the better route. But if you’re looking for the ease of a car—minus the gas and insurance costs—the Unagi makes a strong case for its sticker shock. Weighing in at a little over 24 pounds, the Unagi is by no means lightweight, but it isn’t impossibly heavy to move around, either. 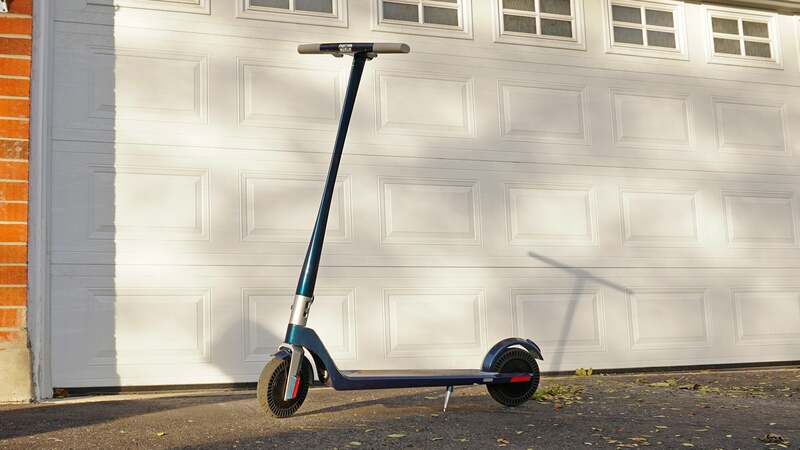 To make it easier to store, or bring it up the lift to your office after your morning commute, the scooter features a handlebar that folds down using a unique hinge mechanism that securely holds it in either position. It works well; the handlebars don’t feel loose when upright, and when folded down they can be used as a carrying handle. 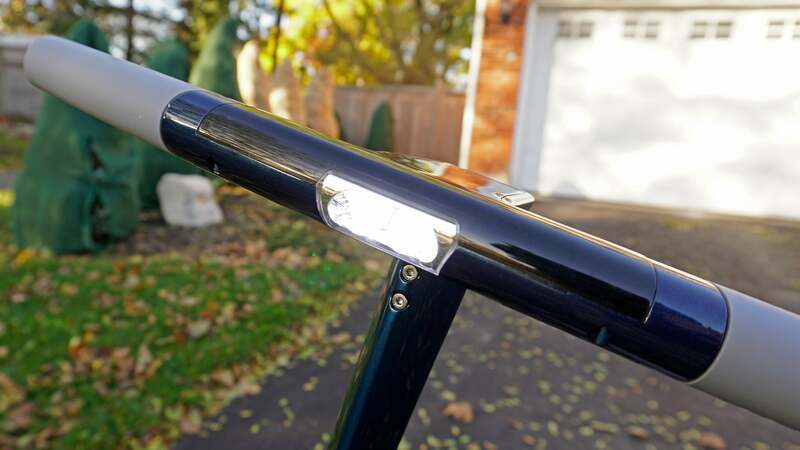 However, the sliding lever that’s used to release the locking hinge mechanism can be a little difficult to move when the handlebars are in their upright position. You need to wiggle the handlebars a bit to get it to slide and unlock, and I still haven’t quite gotten the hang of it. One of the most unique features of the Unagi are its airless tyres that surround each wheel’s electric motor hub with a series of rubber spokes. Companies like Bridgestone have been touting the advantages of these tyres for years: they never deflate or go flat, and they provide additional shock absorption. The former might be true for the Unagi; you’re never going to be stranded by a flat tyre. 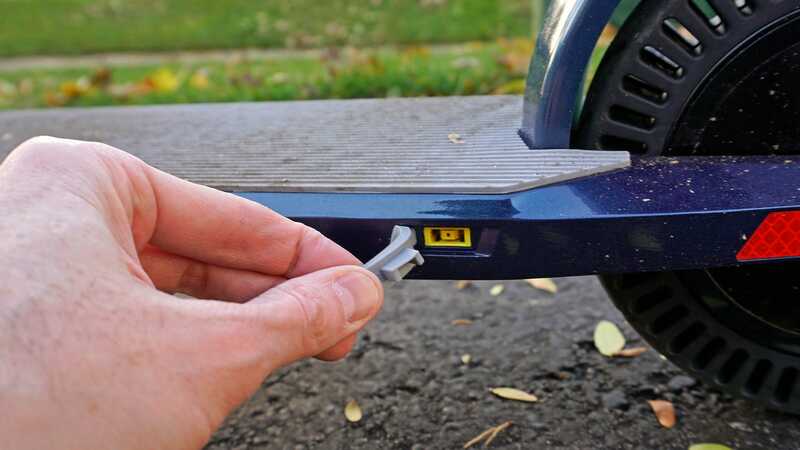 But with wheels measuring just 7.5 inches in diameter, you still end up feeling every bump and crack in the road. At slower speeds the airless tyres do a better job at absorbing uneven terrain, but as you get closer to 15 MPH I found myself constantly scanning the road ahead for the smoothest patches of tarmac I could find. Controlling the Unagi scooter is all done through a collection of buttons and levers surrounding a high-contrast display that provides details on your current speed, distance travelled, remaining battery life, and which riding mode you’re in. 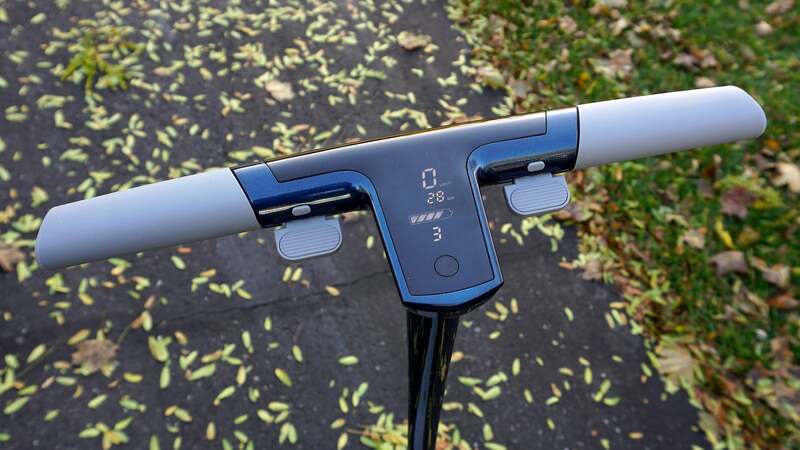 Mode 1 limits the scooter’s top speed to 9.3 MPH, while mode 3 lets you get it up to 15.5 MPH, and they can be toggled on the fly by double-tapping one of the buttons. The graphical battery meter is the only feedback you have for how much longer the Unagi scooter will run, but I found it a little vague. It also tended to show more of an estimation of how much battery life was left given the current terrain you were on. So when riding up a steep hill it would drop to a single red bar, but once you hit the top and were back on level ground, it would immediately climb back up to three full bars again. An estimation of miles or minutes you had, based on the battery level, would be a nice addition here. Braking and accelerating are handled by a pair of large thumb levers which offer a good deal of precision, once you get used to how much force you need to use. 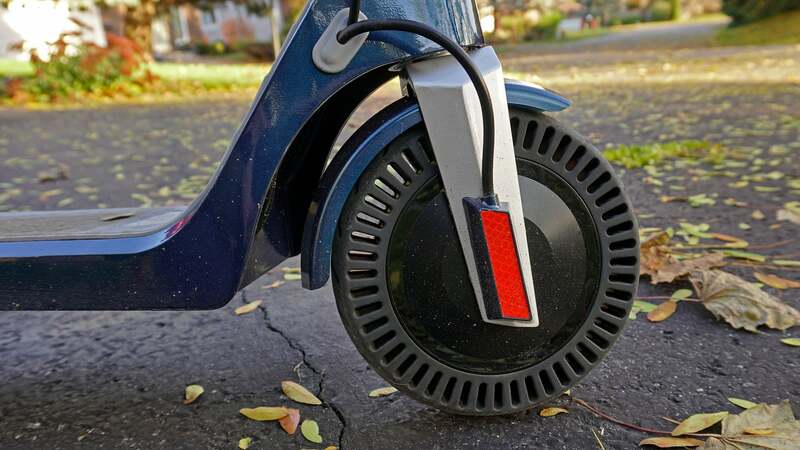 As an added safety feature, the accelerator lever (on the right) won’t function until the scooter is already moving, requiring you to manually kick off first. It’s a feature that has probably saved me from a fall more than once while I’ve been standing with one foot on the scooter, getting ready to ride. In comparison, I think the sensitivity of the braking lever (on the left) could use a bit of a tweak. It works, but even the slightest press will activate the scooter’s braking system with enough force to make you feel a little anxious about going over the handlebars—although that has yet to actually happen to me. The brakes work quite well, and can bring the scooter to a full stop from top speed in about 12 to 13-feet. But you really need to learn to have a gentle touch with it, which isn’t always easy when you’re bouncing around at 15+ MPH. As safety features go, the Unagi scooter’s got the basics covered with side reflectors, a series of bright red LEDs on the back that start flashing when the brakes are applied, and a high-pitched electronic horn that’s one of the most unpleasant sounds I’ve ever heard. It will, without a doubt, get someone’s attention. And while they’ll probably be mad at you for blaring it, at least they’ll see you coming. I’ll admit that I wasn’t expecting much from the Unagi’s headlight, but the cluster of LEDs it uses does a decent job at throwing enough light on the road ahead to see where you’re going at night. 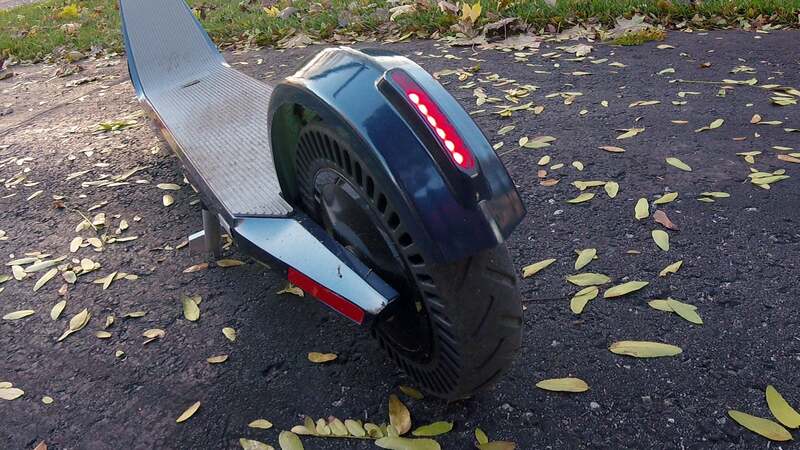 Odds are you’ll be using the e-scooter in urban settings most of the time when street lights already provide a good amount of illumination, but even without them, the Unagi’s headlight still made it easy to spot obstacles. If you’re looking for something to ride up and down the street, and nothing more than a quick thrill, companies like Razor sell adult-friendly e-scooters for less than £300. But if you’re looking for an alternative to a car, or public transit, or just don’t want to work up a sweat biking to work every morning, the Unagi feels like an e-scooter that wants to be more than just a toy. It’s certainly not cheap, but it’s much cheaper than paying for parking and fuel to get around a crowded urban centre. But even for someone like myself living in suburbia and working from home, in a little over a week’s time the Unagi has managed to work its way into my daily routine. It’s made the boring walk to the community postbox something I look forward to every evening, and it’s greatly expanded my range of lunch options. Now if only I could put snow tyres on it. 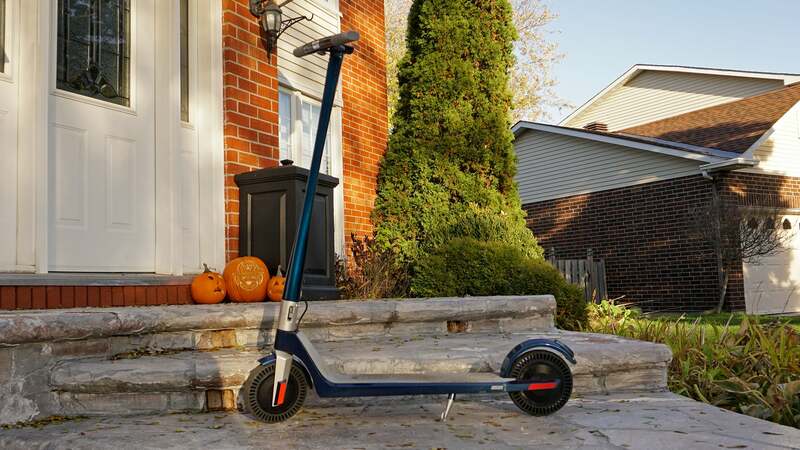 The Unagi Scooter is available now through a Kickstarter crowdfunding campaign, and the single motor E250 model is available for as little as $623 (£487) for the first backers, while the more powerful E450 option, which is what we tested, can be had for $763 (£597). Delivery is expected to start in January of next year for the first backers, with the final units shipping out in March. As with any crowdfunded product, there’s always a level of risk involved, even when production-ready products can be demonstrated, as is the case here. If you’d prefer to wait and see, the Unagi will eventually be available through the company’s website, but without the discounts. An electric scooter that looks like it was actually designed for adults. The top speed of 15.5 MPH feels a lot faster than it sounds. It takes about three or four hours to charge, but will run for about 15 miles—well over an hour—depending on how hilly the terrain is. 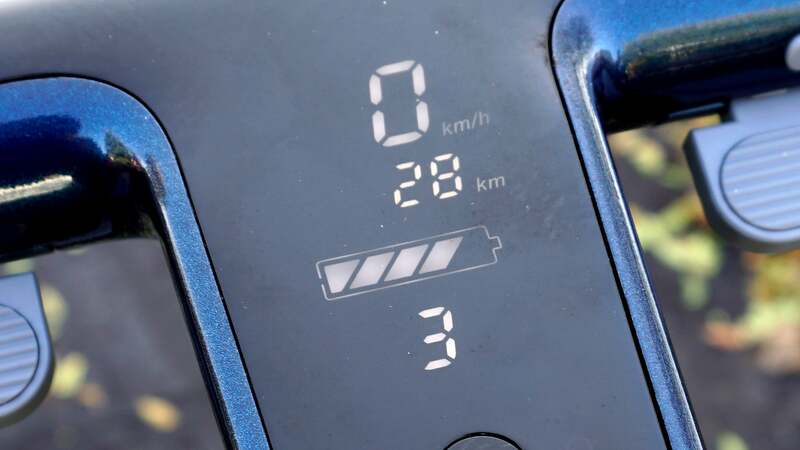 The scooter’s battery icon doesn’t give you the best idea of how long or how far you’ll be able to scoot. The braking control lever requires a light touch, and even then, stopping the scooter can feel abrupt, even at slower speeds. 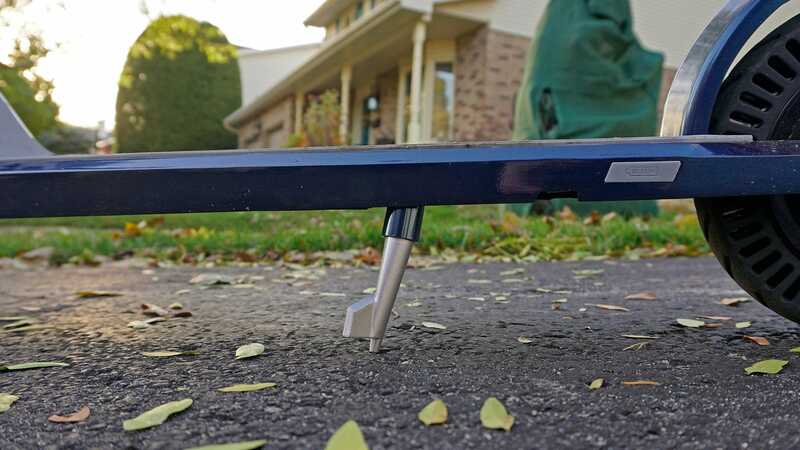 With a starting price of $890 (£693) it’s definitely not a toy, but it could very well replace a car depending on the length of your commute or your driving needs.